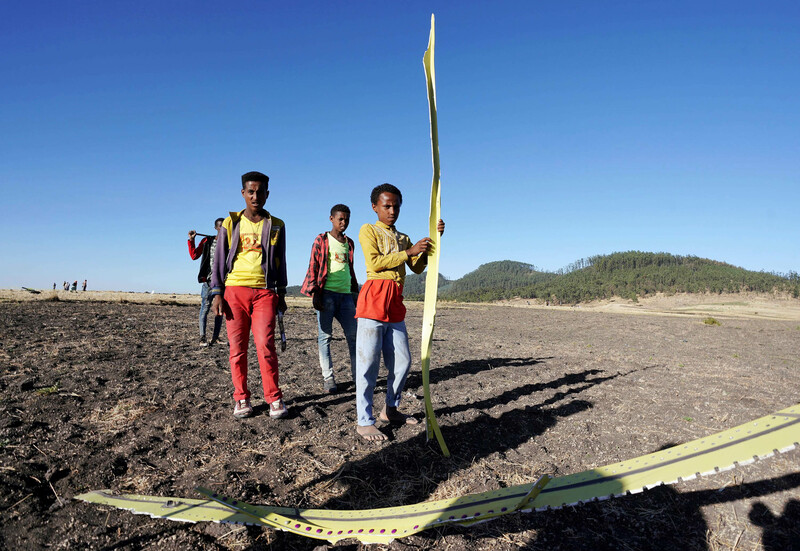 The Ethiopian Boeing flight that crashed and killed 157 people was showing signs of technical difficulty minutes before the plane went down Sunday. Witnesses say the Boeing 737 MAX 8 plane was making rattling noises and had a cloud of white smoke and debris such as paper and clothes trailing behind it before it eventually hit the ground, Reuters reports. The pilot’s request to return to the airport came too late. 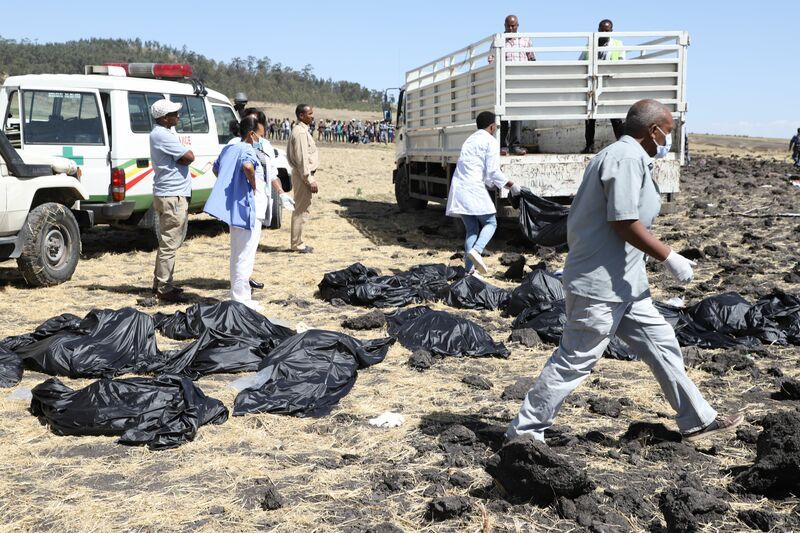 Of the 157 people who died in the Ethiopian Airlines Flight 302 crash, there were 32 Kenyans, 18 Canadians, nine Ethiopians and eight from Italy, China and the United States. The deceased include Antoine Lewis, an American serviceman; American brothers Melvin and Bennett Riffel; a Canadian family of six on a trip to Kenya; Cedric Asiavugwa, a third-year Georgetown law student from Kenya; Nigerian-born scholar Pius Adesanmi; Jonathan Seex, head of Kenya-based restaurant chain Tamarind; Hussein Swaleh, a former Kenyan soccer official; a group of 19 U.N. humanitarian workers; and more.